Ever wondered how to laminate AND mount a print to foam board in 1 step instead of 3? It is true, it is possible! 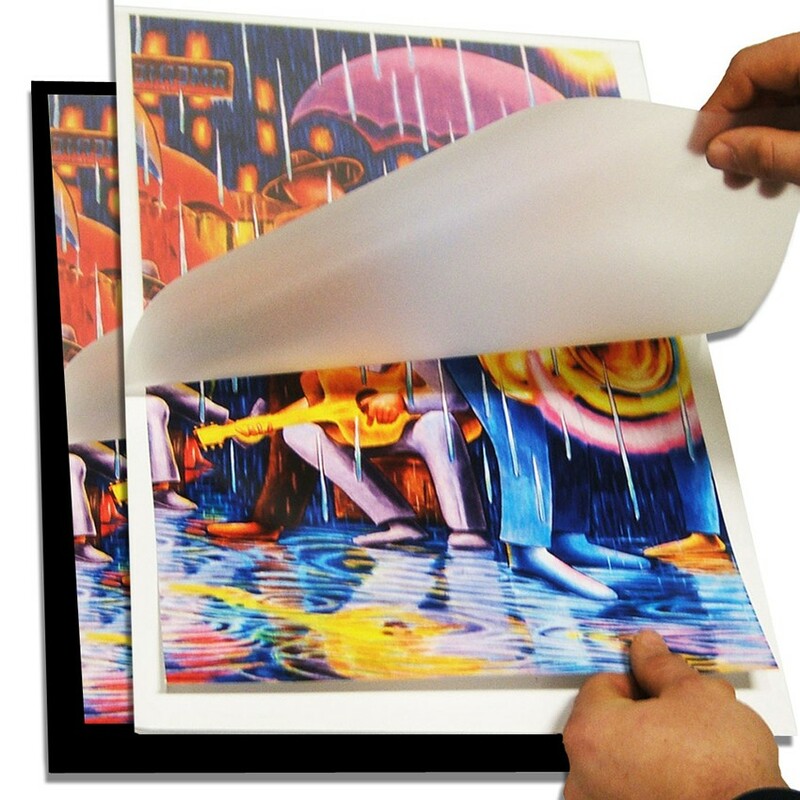 Pouch boards are perfect for mounting large fine art media, limited edition posters, photo prints, and more. Pouch boards are constructed from heat-activated or pressure-sensitive adhesive board with a film laminate hinged to the top of each board to form a pouch. You can mount and laminate in a single step, by sliding a print between the board and film, then feeding it through your mount board capable laminating machine or mounting machine. This method is quick, simple, and requires no training. Each board has a high-quality professional bond and rich finish. Choose from a variety of pouch board below to fit your exact needs. So why would you do it any other way?! Pouch mount boards make the mounting and laminating process faster, more efficient, and easier than ever before. We offer these unique foam core boards in several different materials and styles, as well as in either black or white. Here is a tip: try mounting your print to a larger board to create a nice border around it; a black or white border can help enhance your print and make it stand out. Foam pouch boards are made up of 3/16" thick foam board with low temperature adhesive that is safe for all inkjet and other prints. Choose from 6 different styles: White Gloss, White Matte, White Luster, Black Gloss, Black Matte, and Black Luster. Gator pouch mounting boards are known for being heavy duty, in the same compact thickness as standard foam boards; 3/16" thick. Choose from 4 different styles: White Gloss, White Matte, Black Gloss, & Black Matte. Paper board is constructed of 30 Mil white paper board and features a low temperature adhesive and gloss pouch finish. One pass pouch boards are rigid enough to stand on an easel, but thin enough for transporting several pieces to a presentation with ease. Paper boards are a great solution for those with document size pouch laminators that are not designed for mounting. Corrugated pouch boards feature vertical fluting in the core, which makes them very popular for signs. They are available in white boards, and a few popular sizes. The adhesive is cold, or pressure sensitive, so all you need is pressure to mount your prints.